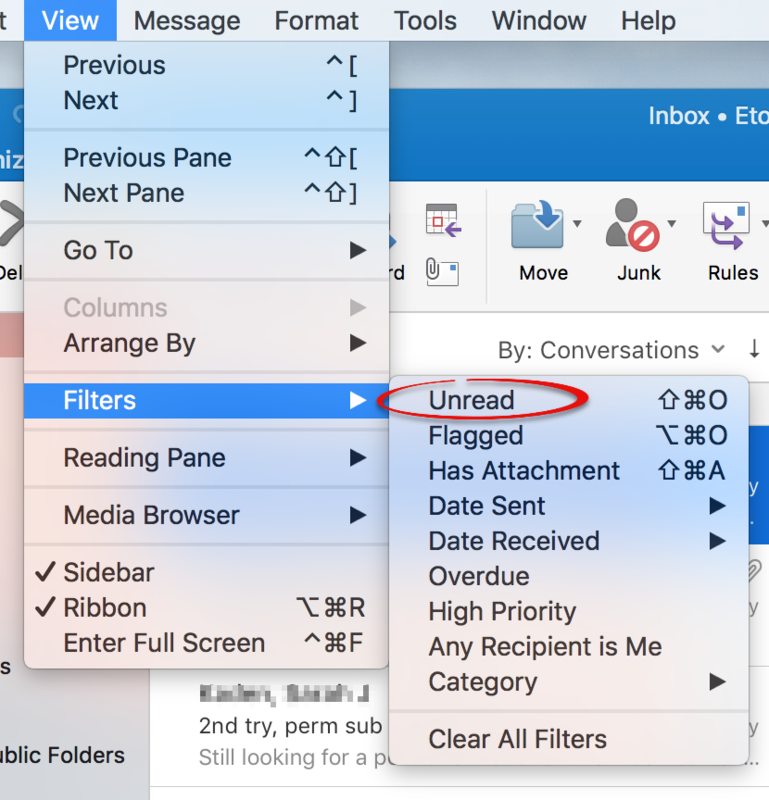 Creating and using an Unread View in Outlook to quickly see only unread messages. 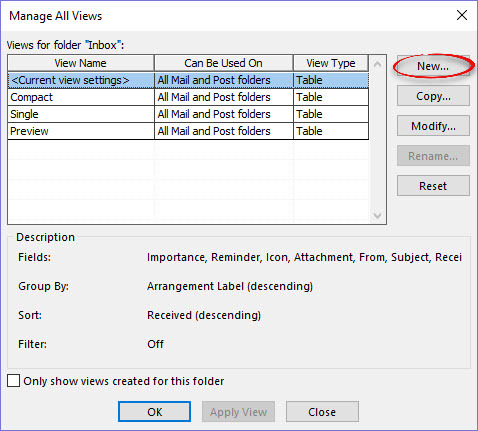 Step 3:In the Name of new view box, type the new view’s name: "Unread. 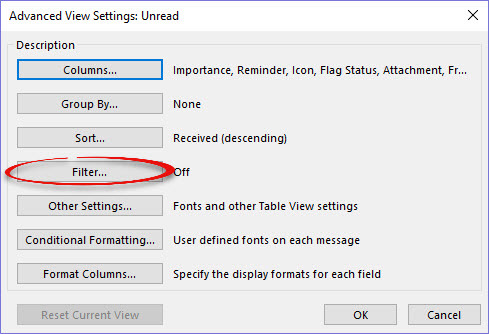 "Under Can be used on, check All Mail and Post folders. Step 5:Select the More Choices tab. 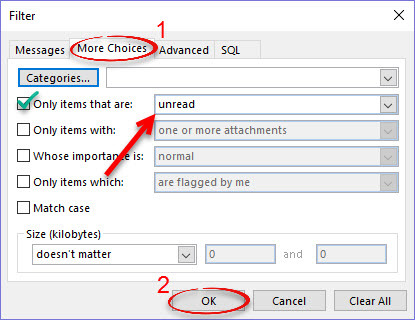 Check Only items that are: unread will change from dim to bright. 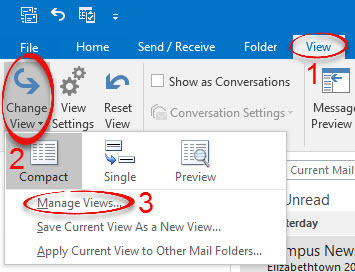 Click OK until you are back to the normal view in Outlook. 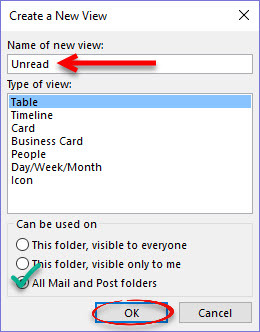 Step 6:Use the Unread view by selecting View tab. 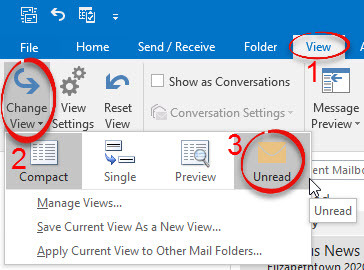 Select Change View, then click Unread. Step 7:To see everything again, select Compact. Step 1:On the Menu bar at the top of the screen click View. 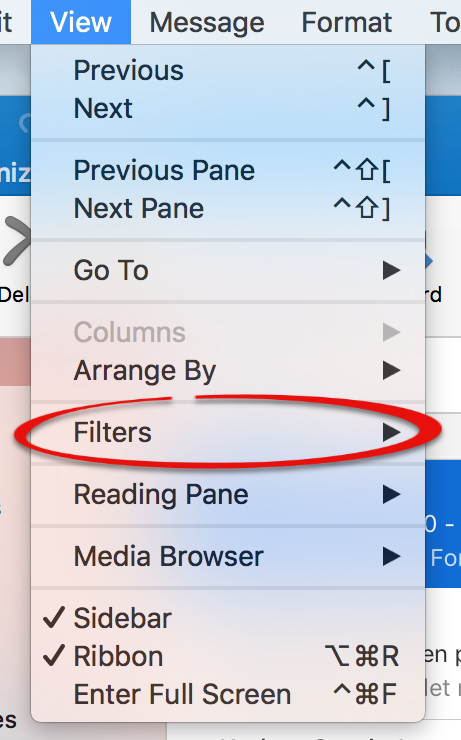 Step 2:Scroll down and hover over Filters. 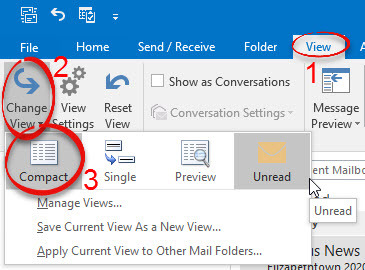 To reset the view to show all messages follow the instructions below.Step 4:To reset the view to show all messages, begin by clicking View. Step 5:Scroll down and hover over Filters. 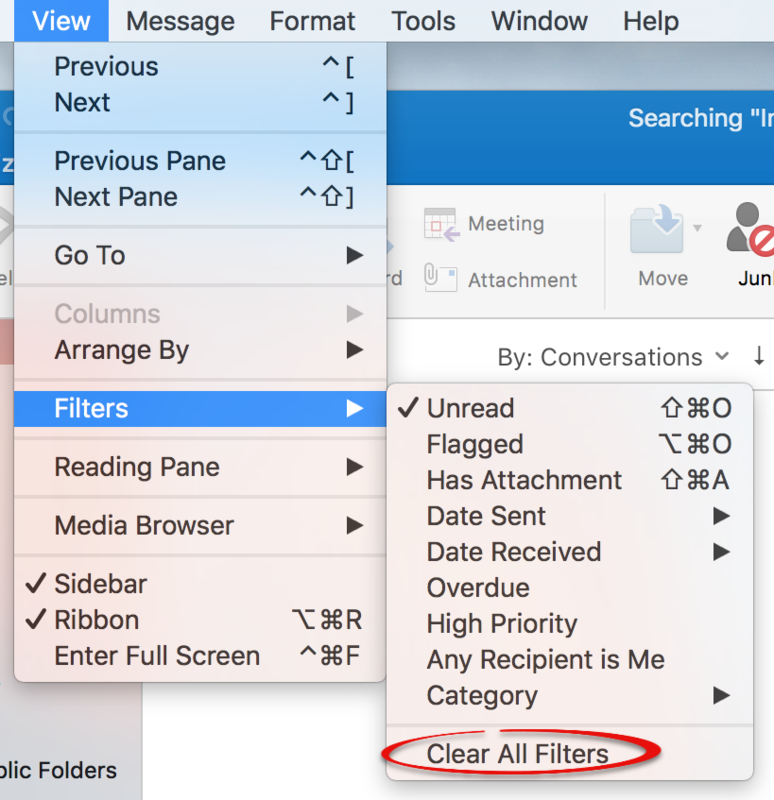 Step 6:Select Clear All Filters.